One of the oldest players in the online dating industry is betting on the next big thing since swiping. Match plans to launch a new video feature for its dating app this summer. Match is still a brand name, and it retains a large database of users (though its demographic skews a little older – the company captures a large portion of daters thirty-five and older, many of them divorced and getting back into dating). 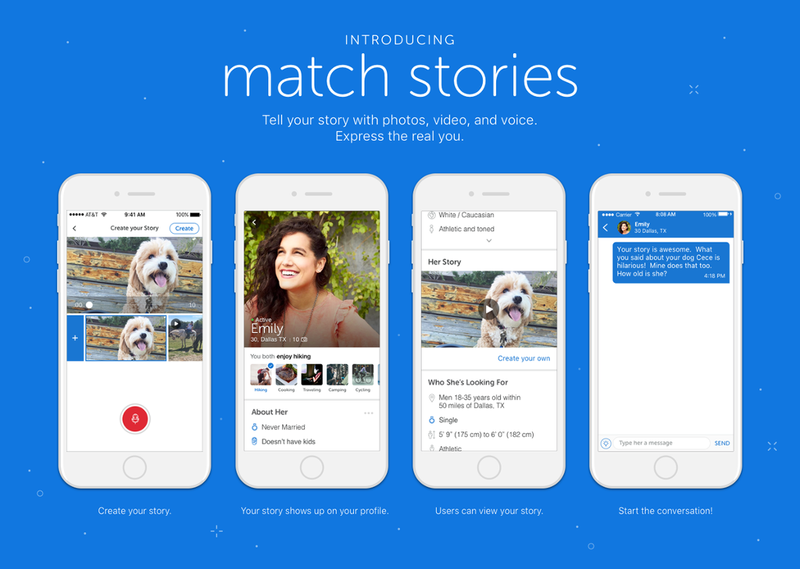 But Match is looking to broaden its horizons, and the dating game along with it, by focusing on video for product development, according to a report by Mashable. The video feature, dubbed Match Stories, varies a bit from the old-school video dating services and other video dating apps that haven’t quite taken off. Instead of stilted introductions from users who aren't used to being in front of a camera, Match Stories allows its customers to be a bit more creative. They can incorporate video and images into a 60-second “story,” and use the voiceover tool to explain to potential dates what they are seeing. "Hearing someone talk about their photo is far better than just seeing the photo,” Match CEO Mandy Ginsberg told Mashable. “Seeing a video and hearing their voice is the holy grail in terms of figuring out your attraction." Following on the heels of popular video features on Snapchat and Instagram, Match’s new feature is described by Mashable as a bit more “formal.” Rather than asking users to create endless video content as Snapchat and Instagram encourage, Match Stories is more like a one-time introduction so potential matches get a sense of who you are. In fact, the new feature was created as a result of one of the company’s Singles in America study, which found that 72% of singles think that “someone’s voice makes a person attractive.” With a short clip, you can get a feel for what the person is like, much more so than from a couple of images. Match is owned by IAC, which also owns Tinder. But Match differentiates itself by appealing to more serious daters, which means, as Mashable points out, that users will be more invested and willing to craft their video profiles, even though it takes longer than uploading images. That said, Match tried to make the videos simple to edit. Stay tuned this summer for the new feature to roll out – in select markets first, then later this year in all markets. For more information on this popular dating service you can read our review of Match.